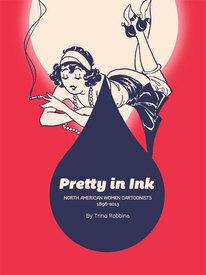 Pretty in Ink is, in some respects, a revised, updated and expanded version of Ms. Robbins's 1993 Kitchen Sink Press book, A Century of Women Cartoonists. 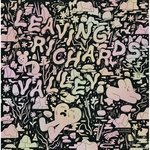 There has, of course, been an explosion of new work by "North American Women Cartoonists" in the intervening twenty years, as well as plenty of new historical documentation and information concerning the same, so there was every reason for Trina to produce this new volume. In addition, whereas all reproductions in the former volume were in black and white, the current market allows for deluxe full color printing, and the 180 oversize pages constitutingPretty in Ink are full of them, making for an enjoyable, informative and educational read. The century of accomplishments in the face of adversity on display here are sure to inspire any aspiring cartoonist, regardless of gender.